Next evening we too saw her as she sat in front of the Well of Death, looking bored, chain smoking Scissors cigarettes. She wore a “birjis”* of shining blue satin, and her heavily painted face looked weirdly blue in the bright lights. But those who knew declared that Miss Nadia of Hunterwali fame was not a patch on Miss Zohra Derby, the Female Desperado. A ferocious looking man, also in blue satin “birjis” sat next to her, twirling his waxed moustaches. A motorbike roared at the back. After some minutes Miss Zohra Derby and her ferocious companion entered the Well of Death on their motorbikes and went roaring round and round. The well shook and wavered and it was all very frightening. Qurratulain Hyder, Memories of an Indian Childhood, The Sound of Falling Leaves. Pics today: Hurricane Hansa (also see: [X] [X]); Screen capture from Bhumika, in the movie Smita Patil is a 1930s actress who first stars in an action film; Jewish actress Pramila in Bijli; and Gohar Karnataki in Guru Ghantal. This entry was posted in 1930s, Actor, Cinema, Early 20th Century, Feminism, Indian Cinema, Indian Women, Old Bollywood, Vintage Dress, Women and tagged 1930s, Bhumika, Fearless Nadia, Gohar Karnatki, Hindi cinema, india, Pramila, Smita Patil, strong ladies, stunt queens, swashbucklers. Bookmark the permalink. I love, love love this post Anu! It must be the ‘badass lady’ in me:) They really strike me as Durga manifest… As you said… ‘taking on the bad guys single-handedly-and-stylishly’!! Now I’m off to dive into all of your links to learn more! I have been waiting to do this post forever and finally got the pics! The 1930s in India were awesome. 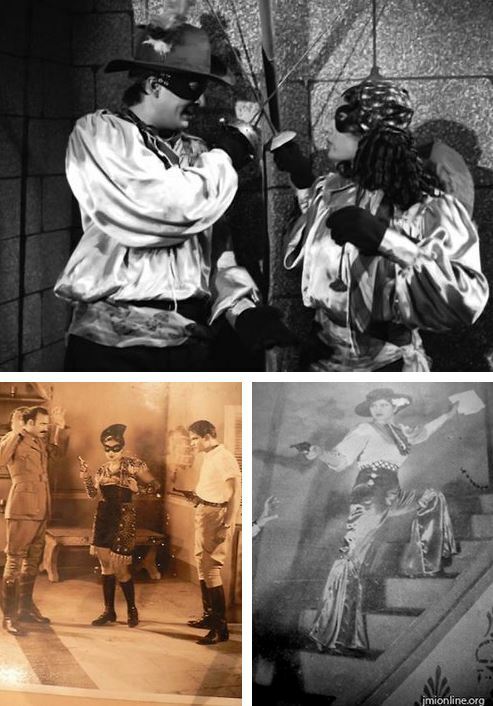 And I love the Australian connection with Fearless Nadia. I love badass ladies too, I have been watching Phryne Fisher! I love Phryne too! Her outfits are absolutely gorgeous… not to mention her style and sass!